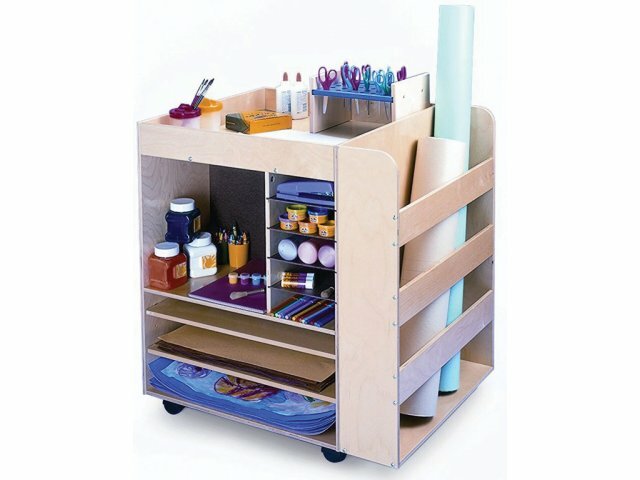 This Rolling Art Cart will keep all of your art supplies organized and ready to go. With tools and materials in tow, you can transform any room into an instant art studio. A unique arrangement of compartments and shelves accommodates different mediums such as paint, crayons, markers, clay, and more. 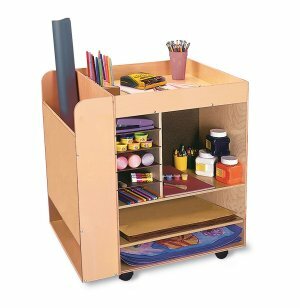 Two sides of the art cart feature shelves and compartments of various sizes, and a third side includes a deep bay that stores rolls of paper. The top surface has a lip so supplies won't fall off while in transit. 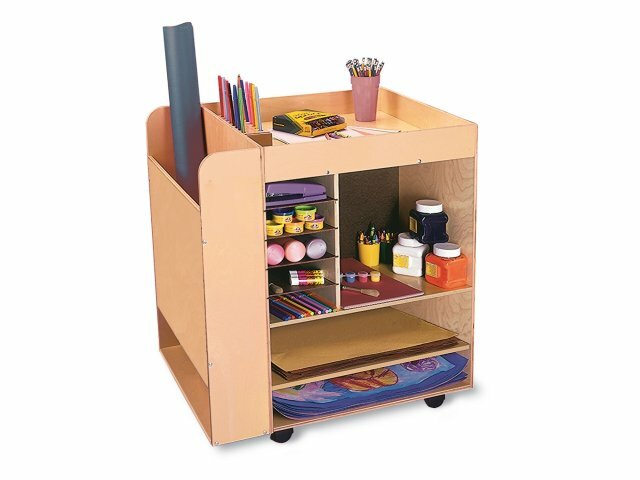 This rolling art cart provides the perfect space for your project materials. Constructed from birch plywood, with heavy-duty casters for smooth rolling. Great Shelving: Two sides feature different sized shelves for various supplies. One side has a deep bay for paper roll storage. Secure Storage: Raised sides of the upper surface keep supplies in place when the cart is moving. Sturdy Build: Durable birch plywood construction and heavy-duty casters ensure years of enjoyable use.